The first period was not the greatest for the Barons as they struggled to get on their game and were out played, passed and hustled by the Warriors. 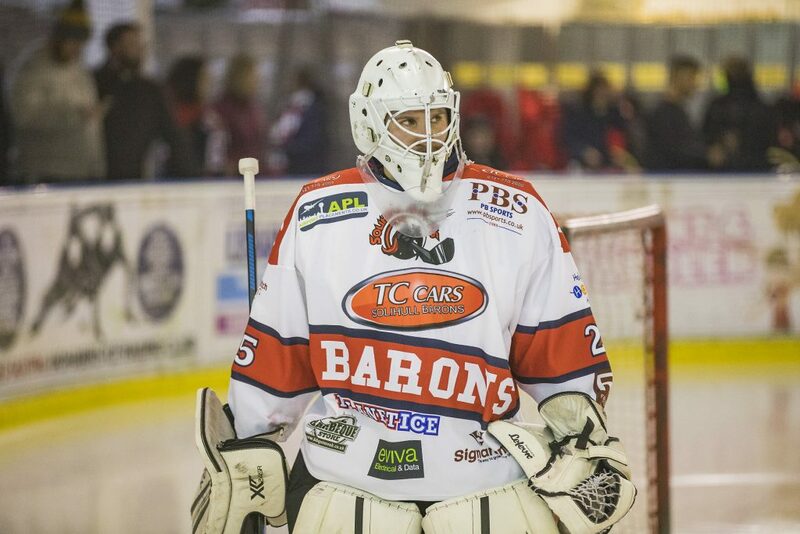 Whitley got the opener on just two and a half minutes as Jordan Barnes made the most of a breakaway which left netminder Daniel Brittle exposed and the conversion to a goal was easy for the Warriors Ben Campbell. 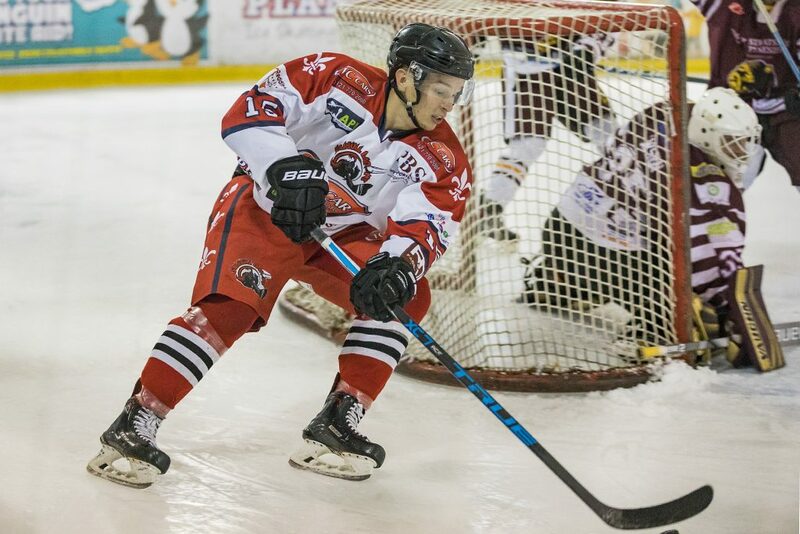 Solihull evened things up on 6 and a half minutes as Ed Eaton forced his own breakaway before clearing the puck to Luke Brittle allowing the Barons forward to pick his spot for the equaliser. Within the minute the Warriors had restored their lead as the gritty Barnes bullied the puck in from around the Barons crease for Whitley’s second. 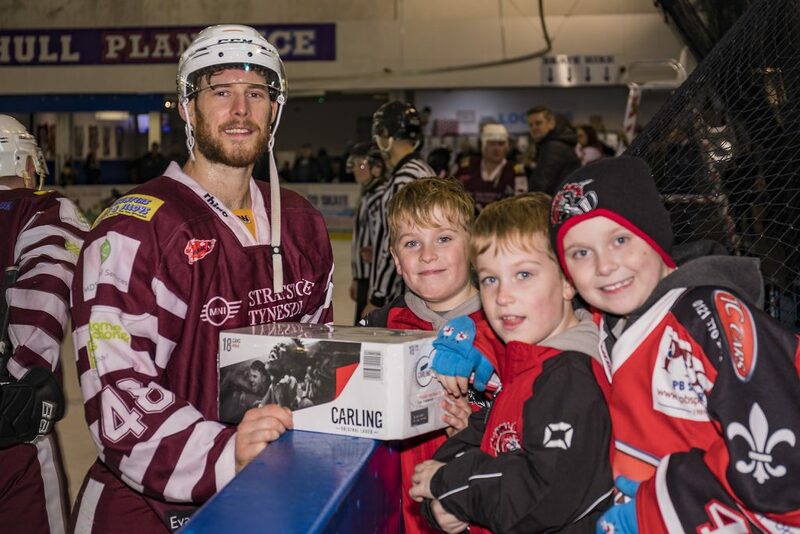 The visitors continued to push and while Solihull would have a few chances of their own by 15 minutes Ryan Sample had extended the Warriors cushion to two goals as he popped the puck over Brittle’s pads. 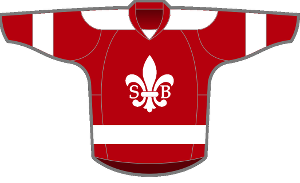 The Barons would look much more on the pace as the second period wore on and were eventually rewarded with five minutes to go of the middle twenty as Matt Maurice was picked up in neutral ice to set up a breakaway, the Solihull number 15 waiting for Warriors netminder Richie Lawson to twitch before firing his shot into the net to bring the Barons to within a goal of the visitors. 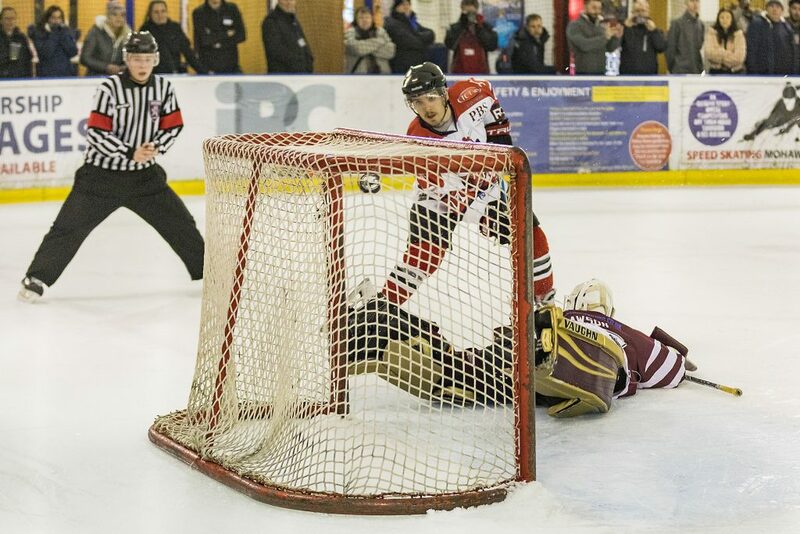 This would be quickly followed the equaliser as Solihull captain Josh Bruce found the net from the right hand circle before Niklas Ottosson put the Barons into the lead as the period concluded. Into the final period and it was an even and entertaining battle between two committed sides, each matching the other, attack for attack. 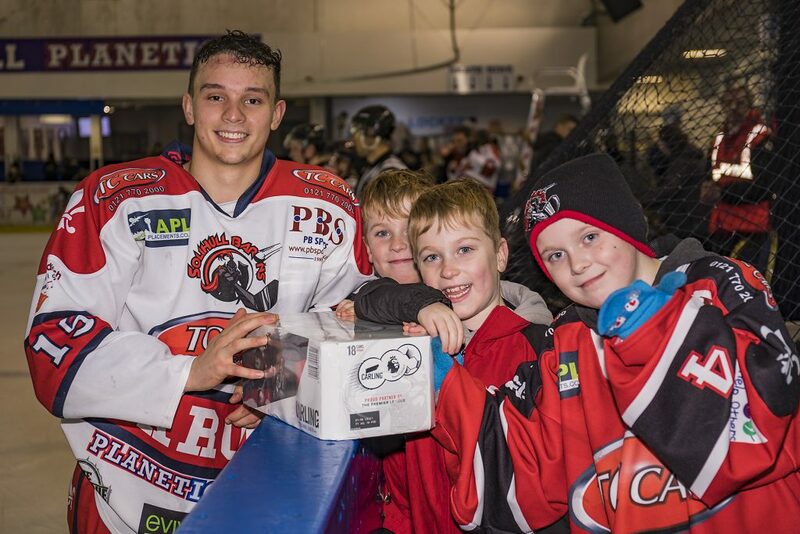 Hopes Solihull could sit on their slender lead were dashed with eight minutes to go as Ben Campbell pulled back the equaliser then quickly followed with his hat trick to push the Warriors into the lead once more much to the delight of the noisy travelling support. 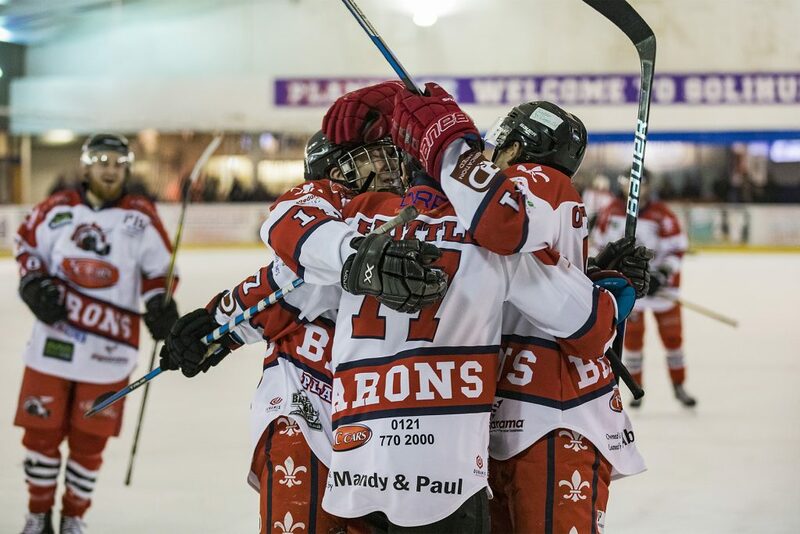 The Barons continued to push and as the game entered the final couple of minutes it fell to Luke Brittle to snipe in the equaliser from short range and drive the game into 5 minutes of overtime. 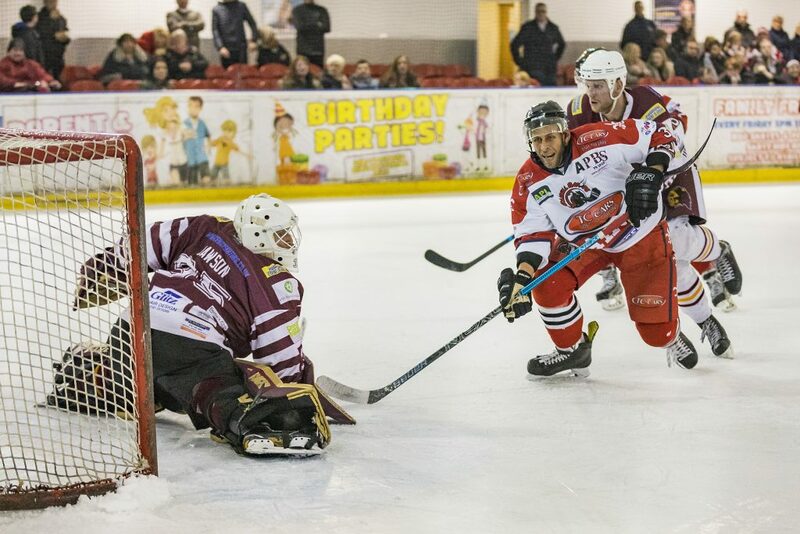 While the overtime period was played almost entirely in the Warriors end Solihull could not force the winner and penalty shots were called. With the initial three shots to each side resulting in two goals and a save or miss apiece it became sudden death. 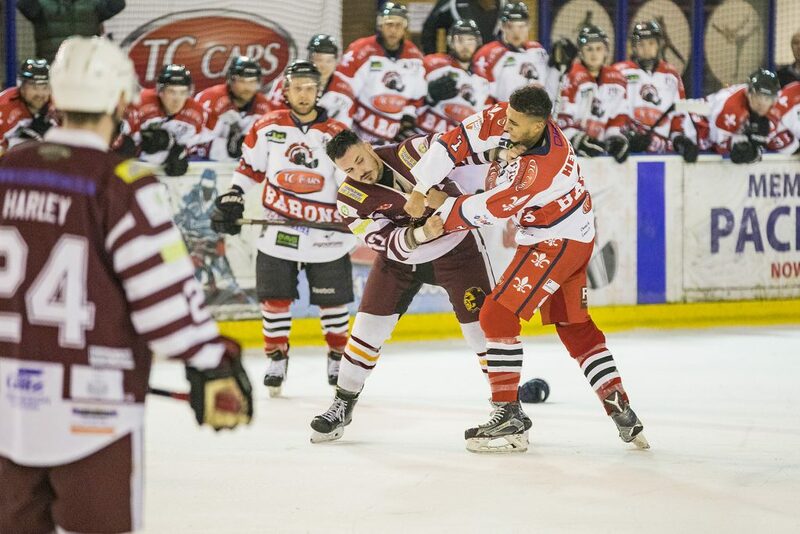 With Luke Brittle finding the net for the Barons when the Warriors Ben Campbell failed to reciprocate, the win was Solihull’s and the fans of both sides could check the state of their nails. 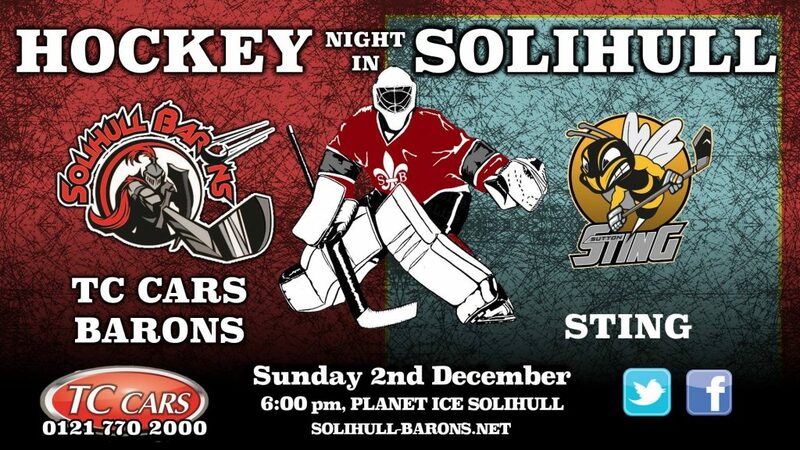 Solihull next face the Billingham Stars up in Teeside before being back on home ice on Sunday to take on the Sutton Sting for what should be another closely fought tie. The sides have met twice, both times in Sheffield with points being split but with only a single goal being the difference in each case. Face-off 6:00pm.